Speech and communication are astonishing achievements that mark our species out from the rest of the animal kingdom. But often, we speak and yet people don’t listen. 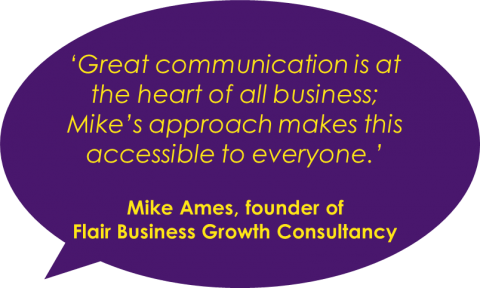 Effective tools, strategies, tips and tricks will make sure you’re able to command attention and know that whenever you speak, people will want to hear what you have to say. Get a flavour of the content from my One Minute Tips videos. Take a look at my How to Speak Infographic, below. "Anyone can speak. But do people listen? Often they don’t! This gem of a book by Dr Mike Clayton guides you to be heard, get attention, stand out, and to become influential. Don’t miss this book that’s packed full with tools, tips and tricks."